You are here: Home / MISCELLANEOUS / HOW THE MEXICAN DRUG CARTEL TOOK OVER AND MEXICO’S ELECTION! HOW THE MEXICAN DRUG CARTEL TOOK OVER AND MEXICO’S ELECTION! Mexico will hold its presidential election July 1 against the backdrop of a protracted war against criminal cartels in the country. Former President Vicente Fox of the National Action Party (PAN) launched that struggle; his successor, Felipe Calderon, also of the PAN, greatly expanded it. While many Mexicans apparently support action against the cartels, the Calderon government has come under much criticism for its pursuit of the cartels, contributing to Calderon’s low popularity at the moment. 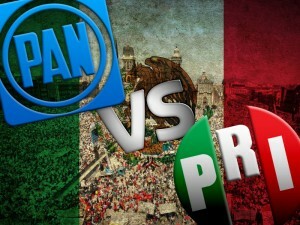 The PAN is widely expected to lose in July to the Institutional Revolutionary Party (PRI), which controlled the Mexican presidency for most of the 20th century until Fox’s victory in 2000. According to polls, the PAN has lost credibility among many Mexican voters, many of whom also once again view the PRI as a viable alternative. Many Mexicans seem to believe that the Calderon administration could attempt to pull off some sort of last-minute political coup (in U.S. political parlance, an “October surprise”) to boost the PAN’s popularity so it can retain the presidency. The potential election ploy most often discussed is the capture of Joaquin “El Chapo” Guzman Loera, the leader of the Sinaloa cartel, who is widely believed to be the richest, most powerful drug trafficker anywhere. The reasoning goes that if the government could catch Guzman, Calderon’s (and hence the PAN’s) popularity would soar. 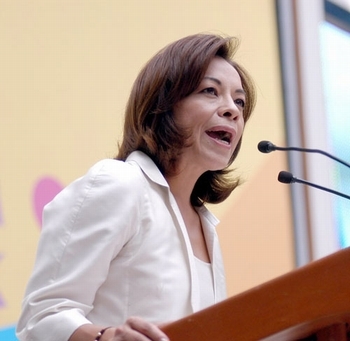 The National Action Party, Mexico’s ruling party, on Sunday, February 5th chose Former congresswoman Josefina Vasquez Mota to run for president, the first time a major party has nominated a woman to compete for the nation’s top office. Mexico’s cartels have begun to form into two major groupings around the two most powerful cartels, the Sinaloa cartel and Los Zetas. These two cartels approach business quite differently. The common Mexican cartel expression “plata o plomo” (literally translated as “silver or lead,” the Spanish phrase signifying that a cartel will force one’s cooperation with either a bribe or a bullet) illustrates the different modes of operation of the two hegemonic cartels. Los Zetas, an organization founded by former Mexican special operations soldiers, tends to apply a military solution to any problem first — plomo. They certainly bribe people, but one of their core organizational values is that it is cheaper and easier to threaten than to bribe. Rather than retain people on their payroll for years, Los Zetas also tend toward a short time horizon with bribery. By contrast, people like Guzman and Ismael “El Mayo” Zambada Garcia, founders of the Sinaloa cartel, have been producing and trafficking narcotics for decades. Guzman and Zambada got their start in the trafficking business working for Miguel “El Padrino” Angel Felix Gallardo, the leader of the powerful Guadalajara cartel in the early 1980s. Because they have been in the illicit logistics business for decades, the Sinaloa leaders are more business-oriented than military-oriented. This means that the Sinaloa cartel tends to employ plata first, preferring to buy off the people required to achieve its objectives. It also frequently provides U.S. and Mexican authorities with intelligence pertaining to its cartel enemies rather than taking direct military action against them, thus using the authorities as a weapon against rival cartels. While Sinaloa does have some powerful enforcement groups, and it certainly can (and does) resort to ruthless violence, violence is merely one of the many tools at its disposal rather than its preferred approach to a given problem. Thus, Sinaloa and Los Zetas each use the same set of tools, they just tend to use them in a different order. Within his home territory of rural Sinaloa state, Guzman is respected and even revered. An almost-mythical figure, he has used his fortune to buy good will and loyalty in his home turf and elsewhere. In addition to his public largesse, Guzman has bribed people for decades. Unlike Los Zetas, the Sinaloa cartel leadership tends to take a long view on corruption. It will often recruit a low-level official and then continue to pay that person as he rises through the ranks. This long-term approach is not unlike that taken by some of the more patient intelligence services, along the lines of the Soviet recruitment of the “Cambridge Five” while they were still students. Quite simply, Guzman and the Sinaloa cartel have had police and military officers, politicians, journalists and judges on their payroll for years and even decades. This intelligence agency-like approach has permitted the Sinaloa leadership to construct a wide web of assets with which to gather intelligence and serve as its agents of influence. At the street level, all Mexican cartels employ lookouts called “halcones,” Spanish for “falcons,” who provide their cartel masters with early warning of law enforcement or rival cartel activity in the halcones’ area of responsibility. Higher-ranking officials on a cartel’s payroll essentially serve as high-level halcones who provide early warnings when government operations against the cartel are being planned. Such advanced warning allows the cartels to protect their shipments and leadership. Once an official or politician is on a cartel payroll (a situation similar to a network of sources run by an intelligence agency), he is subject to blackmail should he stop cooperating. And the relationship between a politician and the cartels can go beyond just cash. It can also involve the murder of a rival or provide other forms of non-cash assistance in the attainment of political power. Whatever the relationship entails, once a cartel gets its hooks into a person, it tends not to let go — and the person thus entangled has little choice but to continue cooperating, since he can be subject to arrest and political or financial ruin if he is caught. He also can be assassinated should he decide to quit cooperating. No Mexican politician wants to become the next Raul Salinas de Gortari, the brother of former President Carlos Salinas de Gortari, who the U.S. government alleges made hundreds of millions of dollars in dirty money, much of it from cartel figures. Raul Salinas’ arrest in 1995 for murder, the subsequent money laundering charges brought against him, and questions about what his brother Carlos knew about his activities were important factors in the 2000 presidential election in which the PRI lost. Featured is the PRI’s Enrique Pena Nieto presidential candidate with soap opera star and wife Angelica Rivera. He is perceived as the insurmountable favorite to become Mexico’s next president this year. Peña Nieto’s long-held advantage in public opinion polls represents the PRI’s best shot at recapturing the office that it lost in the 2000 Presidential elections. The party’s popularity is an astonishing accomplishment for a group once synonymous with the corruption and authoritarianism of Mexico’s 71-year one-party rule. Peña Nieto’s fresh image and celebrity lifestyle (he is married to former soap-star Angelica Rivera) has for the most part succeeded in rebranding his party as one of youth, idealism, and competence. The elitism that Paulina Peña Nieto’s tweet projected is exactly the type of depiction that the party has worked to disassociate itself with. This fear of being linked to a figure like Guzman serves as a strong deterrent to his arrest. Guzman has been operating as a high-level narcotics trafficker in Mexico for decades now, and a big part of his operations has involved bribery. For example, in November 2008, Mexico’s drug czar, Noe Ramirez Mandujano, was arrested and charged with accepting $450,000 a month from Zambada and the Beltran Leyva brothers, who were aligned with Sinaloa at the time. If Guzman were to talk to authorities after his arrest, he could implicate a number of very powerful political and business figures. Indeed, it is likely this fear led to the delicate treatment he received after his 1993 arrest in Guatemala and his subsequent conviction in Mexico for narcotics trafficking and bribery. Guzman was able to continue to run his criminal empire from behind bars, and it was only when it appeared that Guzman might face extradition to the United States that he chose to escape from his comfortable prison cell in January 2001. Since his escape, he undoubtedly has continued to add strands to the web of protection surrounding him. We must also note that without Guzman, the dynamics that drive the Mexican cartels would continue, and other leaders or even organizations would rise to take his place. Killing or arresting an individual will not be the end of Mexico’s criminal cartels. Mexico’s current President Felipe Calderon. That said, a long line of powerful Mexican cartel leaders have been arrested. Guzman’s mentor, Felix Gallardo, was arrested in 1989 in large part due to U.S. pressure on the Mexican government in the wake of the torture and murder of U.S. Drug Enforcement Administration special agent Enrique Camarena. 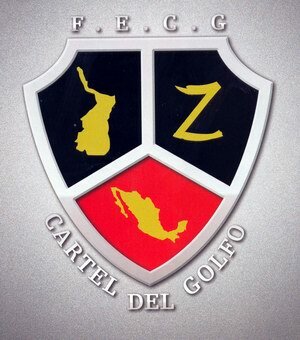 Gulf cartel founder Juan Garcia Abrego, also a protege of Felix Gallardo, was arrested in 1996. Garcia Abrego allegedly was linked to Raul Salinas and other high-ranking officials in the government of then-President Ernesto Zedillo. Garcia Abrego’s successor as leader of the Gulf cartel, Osiel Cardenas Guillen, was arrested in 2003 and, like Garcia Abrego, was deported to the United States and convicted in a U.S. court; he is currently incarcerated in the “Supermax” penitentiary in Florence, Colo. Indeed, Guzman and Zambada are the last of Felix Gallardo’s proteges still at large.If Guzman is concerned that he could be killed rather than captured, like his former associate Arturo Beltran Leyva, it is possible that he could have prepared some type of insurance document incriminating powerful people on Sinaloa’s payroll. As a deterrent to Guzman’s killing, Sinaloa could threaten to release such a document should Guzman be killed. Along with Zambada, Guzman has been a high-profile fugitive for three decades now. He has not survived that long by being careless or stupid. It would be very difficult to track down such an individual in a short window of time established by political calculations unless those responsible already know his exact location and have chosen not to arrest him thus far. The Calderon administration and the PAN have struggled with public perceptions for some time now, making it likely that if high-level PAN officials knew where Guzman was and wanted to arrest him for the public relations bump such an operation could provide, they already would have done so. Still, Guzman is one of the most wanted individuals in the world, and large teams of Mexican and U.S. law enforcement and intelligence agents are trying to locate him. Therefore, it is possible that Guzman could be arrested before the election in July. Any operation to capture him would be tightly compartmentalized for fear it could leak out to high-ranking halcones in the Mexican (or U.S.) government. Indeed, special Mexican units working closely with U.S. counterparts and segregated from any outside contact so that they cannot betray their mission — or the intelligence that led to it — normally carry out such sensitive operations. This means such an operation would likely be beyond the control of Mexican politicians to mandate, although they could conceivably provide actionable intelligence to the forces involved in such an operation. Interestingly, with all the chatter of an election surprise floating around Mexico, any arrest at this point would be met with a great deal of skepticism. The arrest of such a powerful figure would almost certainly become very politicized with all parties attempting to use it to their advantage — and dodge any connections they might have to Sinaloa. Such an environment would serve to bring more attention to the issue of corruption and collusion between the cartels and the government. And that could end up hurting rather than benefiting the PAN in the upcoming presidential election. « WHY DID EVA LONGORIA BLAST ROMNEY? Thanks for the info, The La Familia cartel has been “dismembered” by the Federales. Is this a first-rate signal that stuff are improving upon in Mexico? 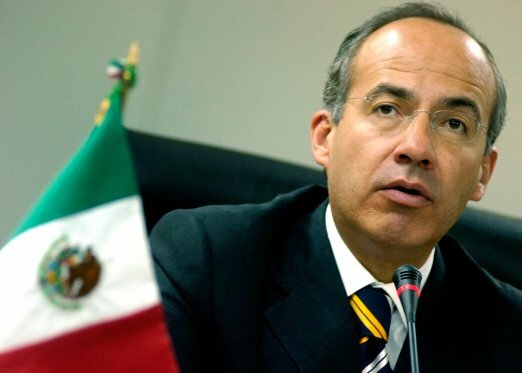 Is Felipe Calderon carrying out a quality task? I suppose he is. What do you say?